Home Eye CandyHELP! 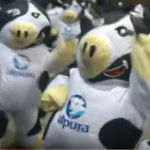 I’ve been hopelessly hypnotized by dancing cows…AGAIN! HELP! 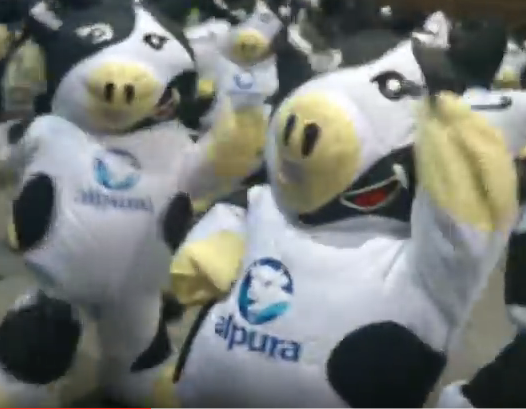 I’ve been hopelessly hypnotized by dancing cows…AGAIN! I’ve been hopelessly hypnotized by these dancing cows. Those bumping bovine moves are mesmerizing. Believe it or not this isn’t the first time I’ve been drawn in by a dancing cow video. In fact, it’s happened more than once. Hey, don’t judge! Besides, I was able to break their spell. Now don’t get me wrong those dancing cow videos were fabulous too. In fact, the cows in them were downright dancing prodigies. Do bumping bovines attend dancing cow college? What magical stars had to align to deliver so many dancing cows to the same spot in the universe at the same time? Is Mexico the natural habit of a dancing cow? And how does one BECOME a dancing cow? Do you have to attend a dancing cow college? Or is it perhaps it a legacy thing, proudly handed down from one generation to the next? Skip to around 1:15 if you prefer to get right into the real dancing cow action. How’d I Miss Adam Savage Cage Dancing to Dr. Who? Next Post Giant jellyfish Stygiomedusa Gigantea captured on video!